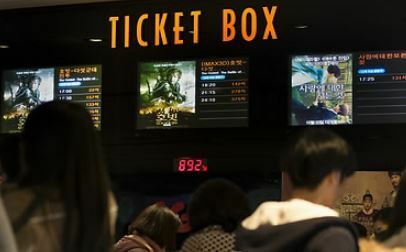 CJ CGV, South Korea's largest cinema chain, said Tuesday it aims to increase the number of its screens around the world to 10,000 in 11 countries by 2020. "Based on the company's capabilities that have been built for the past 20 years, we'll lead the future-oriented cinema market and expand the notion of the cultureplex around the world," Seo Jung, CEO of the CJ CGV, said during a regular media forum on the local film industry at a theater in eastern Seoul. "Cultureplex" refers to an all-embracing destination for film and other entertainment concepts. The multiplex chain owned by the food and entertainment conglomerate CJ marks the 20th anniversary this year since the opening of its first location, CGV-Gangbyeon in Guui-dong in eastern Seoul. It has since developed into the world's fifth-largest cinema chain with 3,459 screens in 463 sites around the world. The number includes 1,117 screens in 151 sites in South Korea. The company says the total number of its theater locations will likely cross 500 with its overseas sales expected to exceed domestic sales at the end of this year. "The fact that overseas sales are outstripping the domestic market will be a significant momentum to achieve CGV's global vision of a cultureplex," Seo said. "It's time to break away from the existing competition system and achieve a 'Blue Ocean Shift' of creating new markets." He said the company aims to continue its global expansion to become a genuinely global cinema brand, with about 86 percent of its chain theaters located outside the country by 2020. After the forum, the cinema chain offered a media tour of the country's first special screening room themed on an open-air cinema in the forest. The room called "Cine & Foret," a combination of the English words "cinema" and "forest," opened at the CGV-Gangbyeon location on July 6. With the gentle slope-type floor covered with artificial grass, walls decorated with natural moss, an oxygen-generating system and machines fuming subtle scents of a forest, the room makes viewers feel like being in a wooded area. Also impressive was comfortable beanbag seats, the ceiling with lighting that is reminiscent of stars shining in the night sky and the media art installed on one side of the wall to feature a waterfall, a pond and the sky. Unlike ordinary theaters, visitors can enter 20 minutes before the screening begins and have "picnic time," where they can talk freely over a cup of beer and a box of fried chicken.